Ebenezer Church built the original general store in 1820 and sold it to his partner Philip Manchester in 1864. Philip’s son Abraham slept every night at the store from the time he was six years old, taking over its operation as an adult. He was known as a shrewd businessman and a leader in the community. Abraham and his sisters often said, "if Manchester’s didn’t have it, you didn’t need it." The store stayed in the Manchester family through the 1950s. In the 1960s it closed and reopened as a restaurant. Manchester’s was a popular restaurant and tavern for over 30 years providing both a gathering place and a place of employment for many local people. Elliott Loomis opened it in 1969. 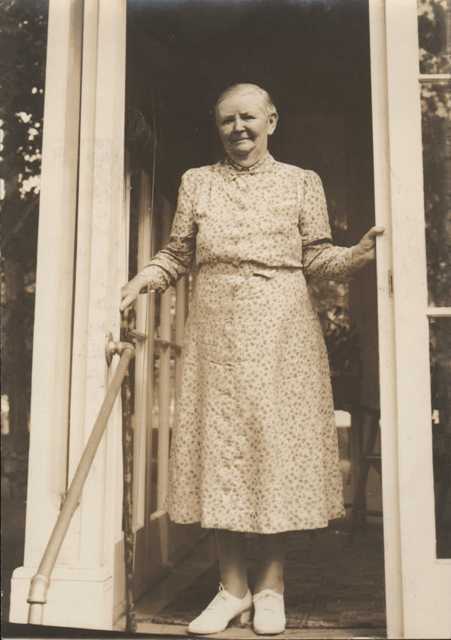 Betty DeLotto was the owner on March 12, 2002 when a fire destroyed the historic building. Adamsville still mourns the loss of this local landmark. Manchester's Store : This early photograph of Manchester's Store dates to the years when Philip Manchester ran the store after buying it from his business partner Ebenezer Church in 1864. 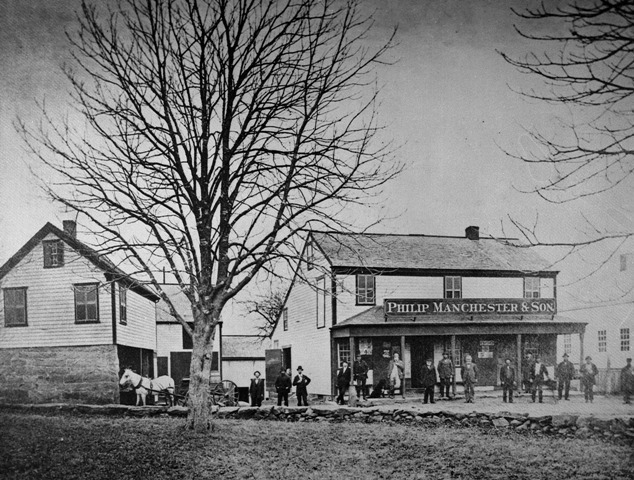 When Philip's son, Abraham, inherited the store, the placard on the building changed from "Philip Manchester & Son" to "Abraham Manchester." 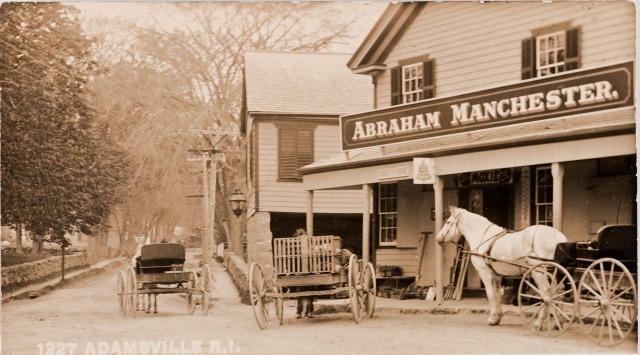 Manchester's Store : Abraham Manchester, the third owner of this Adamsville general store, inherited the store from his father, Philip Manchester. In all, the Manchester family owned and operated this store for nearly a century before finally selling outside the family in the 1950s. 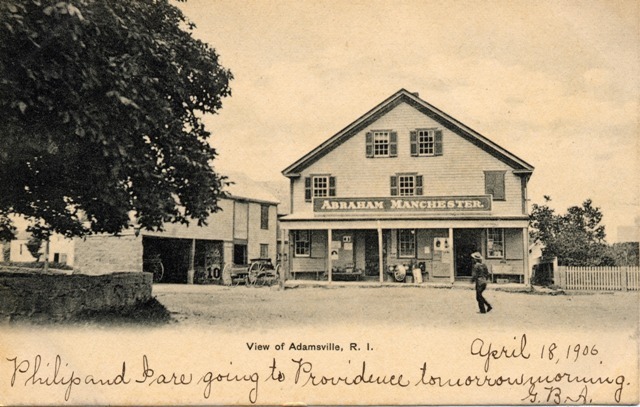 Postcard of Manchester's Store : This postcard, dated April of 1906, depicts Manchester's Store during the years that it was operated by Abraham Manchester. Abraham Manchester lived in rooms above the store -- sleeping there every night just as he had done since the time he was six years of age. Abraham Manchester : Abraham Manchester, the Manchester Store's third owner, grew up in Adamsville and became a respected businessman and community leader. 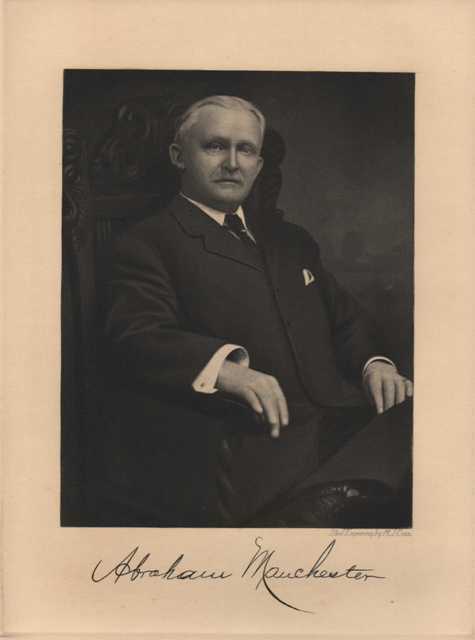 Philip Manchester : In the 1820s, after building a new general store in Adamsville, Ebenezer Church hired a young man named Philip Manchester to run the store. 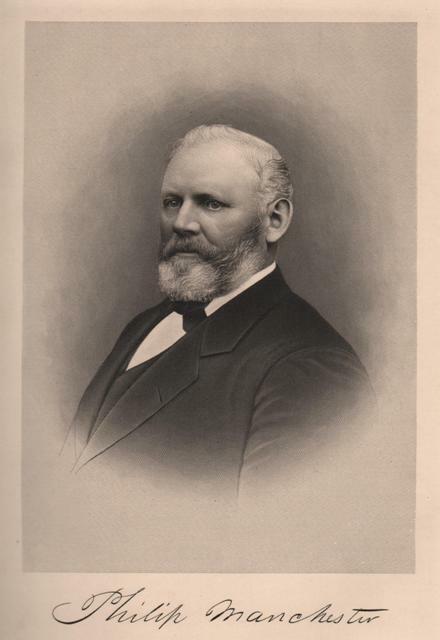 Eventually, Philip Manchester became Church's partner in this enterprise, finally purchasing the store outright in 1864 and renaming it Manchester's Store. Deborah Manchester : Deborah Manchester, known to the local children who frequented the Manchester's Store as "Miss Debbie," worked in the store with her brother Abraham and sister Lizzie during much of the latter half of the nineteenth century. 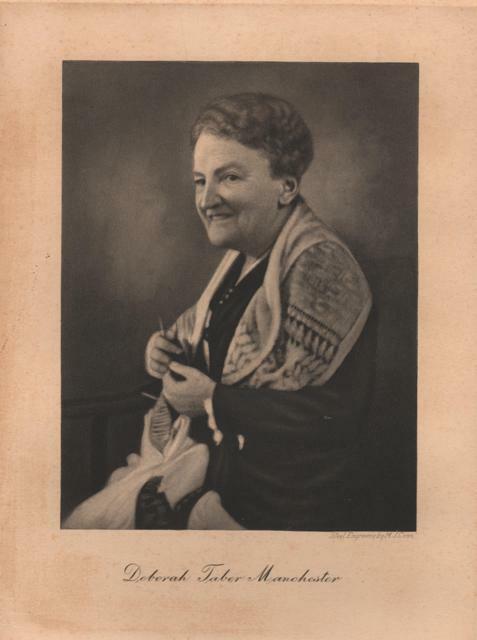 Sarah Elizabeth Manchester : Lizzie Manchester ran the Manchester's Store with her two siblings in the late nineteenth century. Although neither she nor her sister married, they were loved and respected by the many people of Adamsville who visited the store regularly. 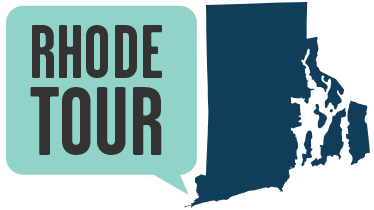 , “Manchester's Store,” Rhode Tour, accessed April 22, 2019, http://rhodetour.org/items/show/119.